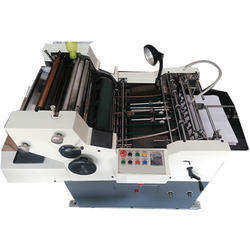 We offer 8 Colour Flexographic Printing Machine to our clients. 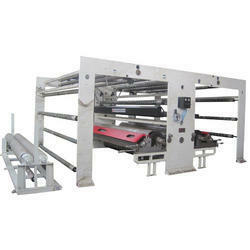 We are offering Flexographic Printing Machine. This product offers excellent printing quality and productivity when used on corrugated sheets, boards and paper. It is available in single color and consists of a hard chromium plated impression roller for quality printing and sharp impression. Our product is also appreciated for its high durability and low wastage. We offer Flexographic Printing Machinery which are designed by our professionals to print with either water based ink or solvent based ink on paper, corrugated sheets and boards. To ensure the efficient performance of the products, these are quality-tested on various grounds by our quality analyzers. We are offering Flexographic Printing Machines that prints paper, board & corrugated sheets with either water based ink or solvent based ink. Hard chromium plated impression roller is provided for sharp impression, quality printing & long life. Variable speed controller with d. C. Motor & electronic digital sensor counter with panel box is provided for economy in wastage and better quality. 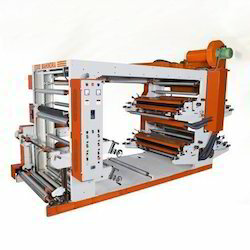 Known in the market for its rich attributes such as high performance, Non-Woven Printing Machine offered by us is easy to operate and require minimum maintenance. 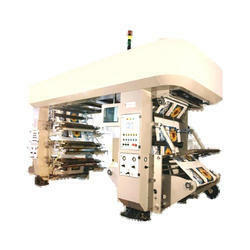 Our professionals manufacture these machines as per the industry set norms by using cutting-edge tools. 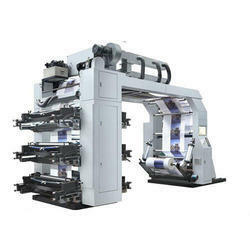 We are one of the reputed clients offering Eight Colour Flexographic Printing Machine to the clients. 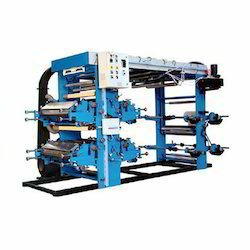 Non-Woven Flexo Printing Machine are extensively used to perform slitting & rewinding printed or unprinted flexible laminates. 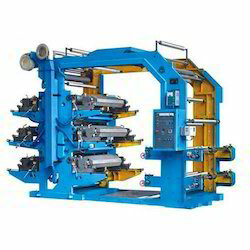 These machines are demanded for their features like sturdy construction, easy installation, low power consumption, hassle-free performance and longer service life. 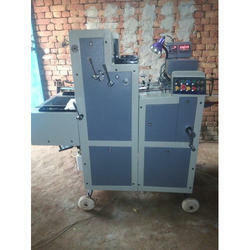 Looking for Flexographic Printing Machine ?